Yesterday we looked at the clear evidence that fracking in a community causes property to lose significant value. Today we turn our attention to documenting how the mortgage industry, recognizing how drilling adds risk and reduces value, is beginning to tighten policies on lending on properties that have wells on or near them, or that are subject to leasing. Uninsurable property damage for oil and gas activities outside of a landowner’s control. 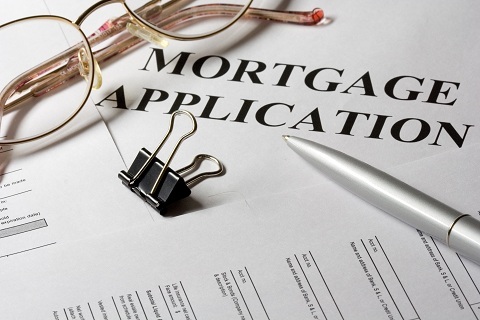 Lending institutions refusing to provide mortgage loans on homes with gas leases because they don’t meet secondary mortgage market guidelines. Prohibitively expensive appraisals and title searches made complicated by the long paper trail associated with mineral rights and attached liabilities. Difficulty of getting construction loans, which require a risk-free property. According to American Banker, at least two mortgage lending institutions in addition to NCSECU — Tompkins Financial in Ithaca, NY and Spain’s Santander Bank — will no longer write mortgages on land where oil or gas rights have been sold to an energy company. Language in the Federal Home Loan Mortgage Corporation’s (Freddie Mac) standard mortgage contract prohibits a “borrower from taking any action that could cause the deterioration, damage or decrease in value of the subject property.” If a landowner breaks that clause by signing a drilling lease or entering into a mineral rights agreement, Freddie Mac has the legal authority to exercise a call on the full amount of a mortgage, according to an agency spokesman. According to a white paper prepared for the New York State Bar Association, Wells Fargo, one of the largest home mortgage lenders in the United States, is approaching home loans for properties that have gas drilling leases attached to them with a high degree of caution. The Tompkins Trust Company has prepared a white paper that details how several companies, including Provident Funding, GMAC, FNCB, Fidelity and First Liberty, First Place Bank, Solvay Bank, and CFCU Community Credit Union, are putting hard-to-meet conditions on mortgages or denying loans altogether on properties with oil and gas leases. Fracking and associated injection wells can lead to earthquakes that can damage property, a concern for a number of lenders. As we’ve seen over and over, increased oil and gas drilling causes irreparable damage to a community. Lending institutions are reacting because it’s their money that’s on the line. Their increasing unwillingness to lend will further hurt property values and drive up mortgage rates. Another industry that will shy away from increased risk is insurance. Tomorrow we’ll look at how major insurers are writing fewer policies in areas impacted by drilling. This entry was posted in Fracking Information and tagged earthquakes, FHA, Fracking, Freddie Mac, mortgages, property value, Wells Fargo. Bookmark the permalink. What is the address of this photo? Was it photo shopped by chance? It’s a photo I pulled off the Internet to break up copy. If it was photoshopped it certainly wasn’t by me. You’re the second person who’s questioned the authenticity of the photo, so unless I can verify it I’ll exchange it for another. The photo is not central to the argument of the post. Thanks. I will remove the photo. We want to inform, not propagandize.